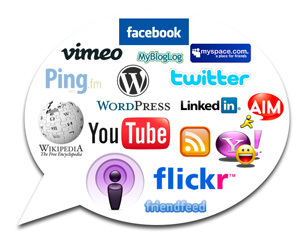 Social networks provide a fantastic platform for sharing content and engaging with customers and prospects. But from a marketing perspective, a fan or follower or connection is not quite as valuable as an email subscriber. Only with an email opt-in do you have clear permission to send the kind of highly-targeted, relevant messages that help turn prospects into customers. In fact, 75% of social media users said that email is the best way for brands to communicate with them, according to a MarketingSherpa survey. So one of your first goals for social media and email integration is to convert social media connections, fans and followers into email subscribers. Here are some suggestions for achieving that goal. 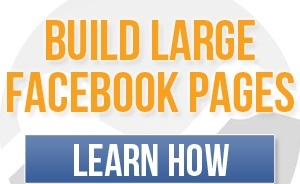 Start by adding an email opt-in form on your Facebook page. Surprisingly, only 10% of brands currently do this, according to a Silverpop study – which means you can get a leg up on your competitors by making it easy for Facebook fans to become email subscribers. The tactic can be incredibly powerful. For example, someone followed up its audience surveys with a campaign to convert Facebook fans who hadn’t yet opted-in to the company’s email newsletter. The marketing team created a Facebook wall post that encouraged fans to join the email list, and as a result, saw a 225% increase in newsletter subscriptions. Adding an email opt-in widget to your Facebook page is relatively simple. In fact, your email service provider may provide the technology for you: Aweber, Bronto, MailChimp, and StrongMail are just a few of the providers currently offering an email opt-in form for customers’ Facebook pages. Also, consider offering a small incentive, such as a coupon or free content download, to convince Facebook users to sign up. You also can repost articles, offers, and other content from your email newsletters and promos to your Facebook page as examples of what subscribers receive when they optin to your company’s email. There are several ways to mix email opt-in offers with your regular tweets. The most direct way is to tweet occasional requests for followers to join your email list (including a shortened URL that links directly to your email sign-up page). When tweeting an email opt-in offer, briefly describe the benefits of joining the email list, such as getting access to exclusive offers, valuable content, industry news, etc. Also make sure your email opt-in box is on every page of your website or blog. That way, any content you tweet features a way for visitors to join your email list after clicking on a link shared via Twitter. LinkedIn Groups are a great way to expand your reach on the social network and connect with people interested in a specific topic. 81% of LinkedIn users are members of at least one group, according to a survey by Lab42. You can create your own LinkedIn Group to promote discussions about your company or industry, or join existing Groups. Then, look for ways to share content that encourages Group members to sign up for company email. Good content for Group sharing might include educational content that requires registration, or articles from recent email newsletters. These are what you should do right now if truly you want to grow your email list with the help of social networks. The truth is, the same principles applies for other social network that I didn’t make mention of here. You would do your online business a lot more good bringing in customers. This is because the sole aim of business is to increase customers daily.